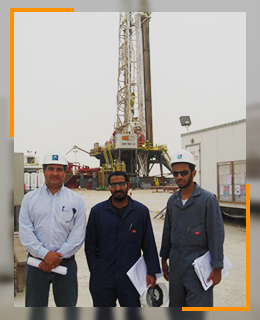 Entrac Petroleum is the leading petroleum training and Knowledge Transfer Experts (KTE™) company. We provide training in all aspects of the oil industry and at all levels from beginners to advanced. Our training courses include: drilling courses such as casing design, drilling engineering, cementing, directional drilling, wellbore stability and rock mechanics, stuckpipe, fishing, well control, drillstring design, HPHT technology, horizontal and multilateral technology. We also provide training in petroleum engineering, reservoir engineering, geology, geophysics and economics. Training in specialized downstream activities is also provided. Click on training button above or download our Brochure. The company was incorporated in 1996 primarily as a training company in the oil and gas industry providing training courses in all aspects of the oil industry, including drilling and well control, completion, wireline, production, reservoir engineering, log analysis, petroleum geology and computer training. The company can call on a large number of people and companies to provide the above training courses. Since 1996, the company has diversified into consultancy and engineering work where a total engineering package is provided. This package includes provision of equipment, well design and preparation of drilling and completion programmes, provision of personnel to supervise drilling operations and the preparation and analysis of contracts/bids. Entrac has a full integrated team of reservoir engineers, geologists, petrophysicists, production and drilling engineers.